I really enjoy the month of April. My father and I are both April babies. This could be the explanation of why we're both completely addicted to sugar. He's actually the one who taught me to indulge on spoonfuls of sweetened condensed milk when no one was watching. Yes, I still do it. There's no shame in my game. 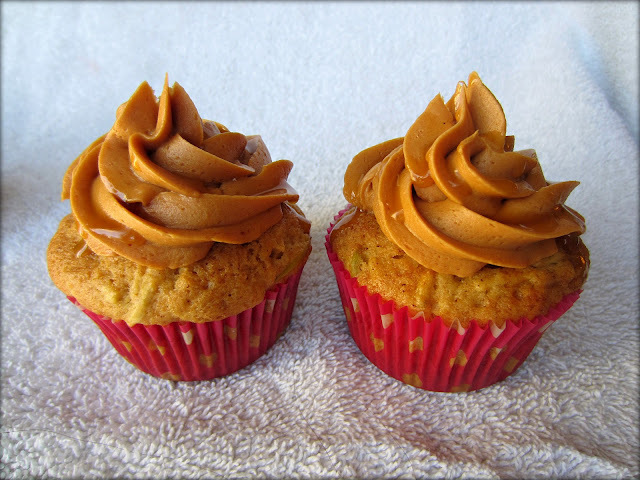 Since my dad l-o-v-e-s caramel to pieces, this cupcake was perfect way to celebrate another fabulous year of his life. 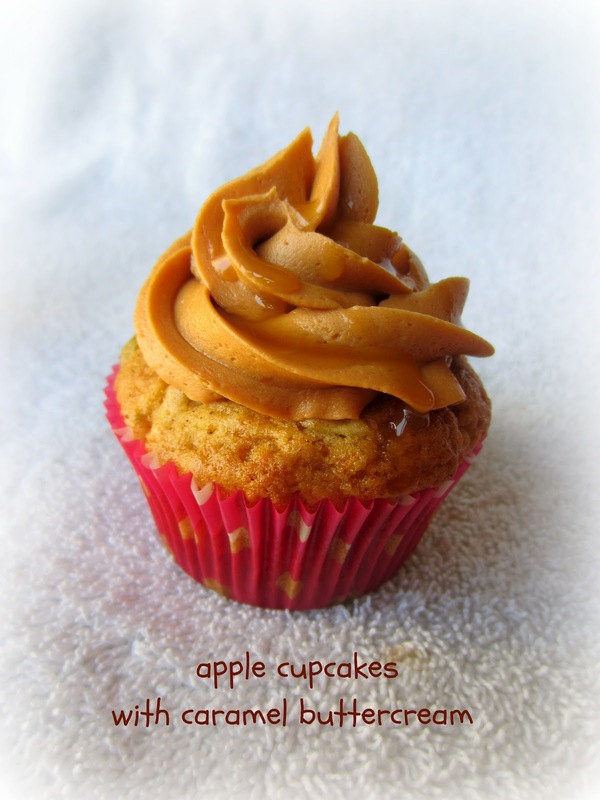 A light cinnamon cake laced with tart Granny Smith apples, topped with a rich caramel buttercream. My dad finished the frosting before he finished the cake. I guess we never really grow out of it..
Preheat oven to 350 degrees. Line muffin pans with cupcake liners. In a large bowl mix together the flour, baking powder, cinnamon, and salt. In a separate bowl, beat together the eggs and sugars until creamy. Beat in the apple juice, vanilla, and vegetable oil. Slowly add the flour mixture, mix until just combined. Stir in the grated apples and caramel syrup. Bake 20-22 minutes or until a toothpick inserted into the center comes out mostly clean. Cool completely before frosting. 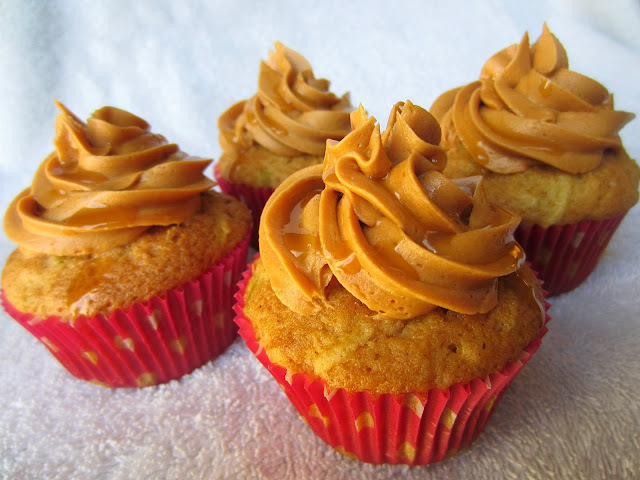 Frost your cupcakes and drizzle with caramel sauce. Has anyone else tried these awesome new frosting flavoring packets yet? Any other I should try out?